At the Center for Cosmetic Eyelid and Laser Surgery in Sacramento, specializing in facial plastic surgery procedures, we believe that your face can be the most important part of your overall appearance. We understand its power to convey emotion, and the important role it plays in expressing your character to the world and all the subtle features that make your face unique. This is why Craig E. Berris, M.D. and his skilled and caring staff have devoted their talents to helping patients achieve natural-looking results with facial plastic surgery and other cosmetic enhancements. Our plastic surgery center combines the comfort and intimacy of a private clinic with the benefits of a state-of-the-art surgical center. Our patients enjoy the convenience of having their consultations, surgical procedures, and follow-up care all performed in a single location. Some patients come to us wishing to enhance their appearance with a facelift while others would like to rejuvenate the way they look with blepharoplasty (eyelid lift), or a brow lift (forehead lift). We cater to those interested in refreshing their facial features with dermal fillers or revitalizing their skin with our wide selection of skin care products. Whatever a person’s aesthetic goals may be, at the Center for Cosmetic Eyelid and Laser Surgery, patients can trust our facial plastic surgeon and aesthetic specialist to deliver impressive results. A Message from Craig E. Berris, M.D. Thank you for visiting our website. 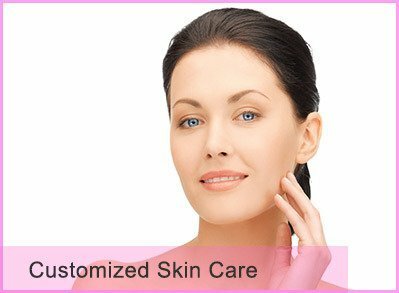 Its purpose is to provide you with enough information in the privacy of your home to decide if a particular cosmetic procedure is appropriate for you. Although the discussions on each topic are relatively thorough, I’m sure you will have questions specific to your particular circumstances. I invite you to call our office for additional information or schedule a consultation to have these questions answered by me to your satisfaction. It is my sincere desire to not only meet your surgical needs but to also provide you with the best possible care from start to finish. The numerous referrals we receive from satisfied patients and other medical specialists attest to the quality of care offered in our center. Our exceptional results speak for themselves. Patients interested in beautiful facial plastic surgery are invited to view our before and after photo gallery page. We offer CareCredit, a card designed specifically for your health and beauty needs. CareCredit can help you move forward with getting the procedure you have always wanted. With convenient monthly payment options, no up-front costs and no prepayment penalties, you can get your procedure sooner. CareCredit works just like a credit card but its use is exclusive to healthcare services. With low monthly payments every time you use it, you can use your card over and over for follow-up appointments or different procedures. This means you don’t have to put your health and beauty needs on hold until you save up enough money. We give you the power to decide when it’s the right time for you. Ready to apply? Call 800-365-8295 or click on the CareCredit link on our website. Craig E. Berris, M.D., F.A.C.S. I had interviewed several doctors and my decision to have Dr Berris MD provide my surgical procedures was by far my best possible choice. And thank you so very much to his staff. From first appointment for evaluation, staff getting authorization for upper eyelid surgery and forehead lift, and then to surgery, all staff were so helpful, courteous, and caring. I would refer others to Dr. Craig Berris.